QoR Masking Fluid is a latex-based medium for masking areas of paper prior to applying color washes. The consistency is perfect for masking finely detailed areas of your watercolor paintings, and it removes easily once dry. 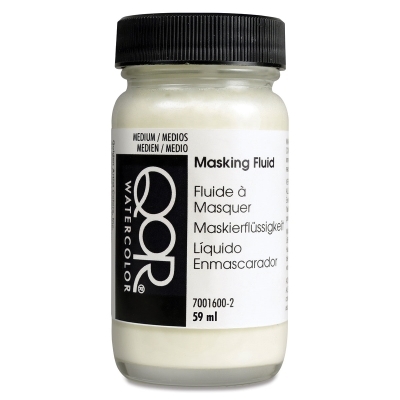 This masking fluid comes in a 2 oz (59 ml) bottle. ® QoR is a registered trademark of Golden Artist Colors.